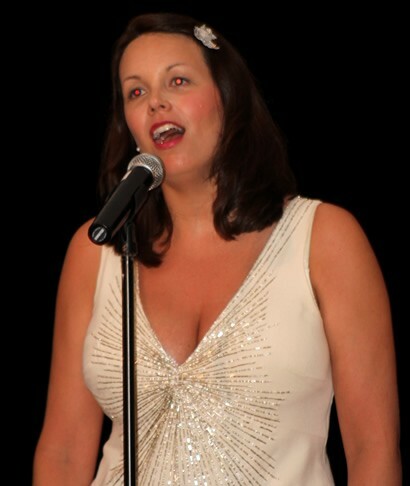 London based soprano singer, Lisa Carlisle, spent 3 weeks in April 2011 on the small, friendly and beautiful island of Grand Cayman in the Caribbean, performing at two concerts. The first, a Royal Wedding Day Celebration Feast, followed by Music From Movies And Broadway with the Cayman National Choir and Orchestra. 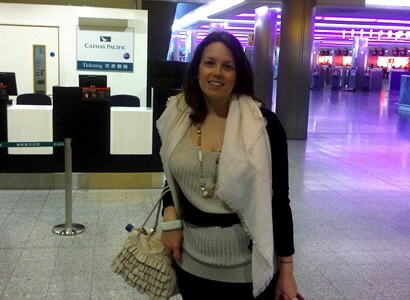 Lisa shares her international trip with us in her a day in the life blog. 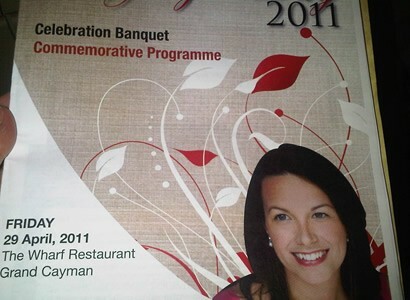 Although I regularly perform in the UK, I also sing at overseas events. 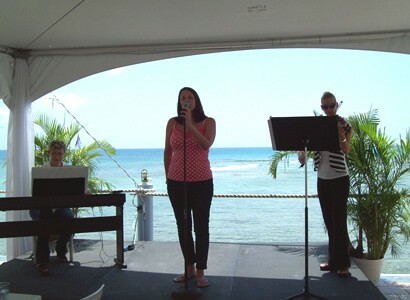 Following a performance there last year, I was booked to fly out to Grand Cayman in the Caribbean for three weeks to perform in two concerts. 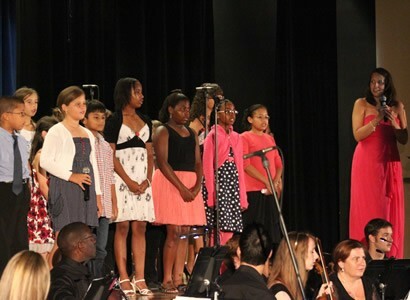 The first concert was the “Royal Wedding Day Celebration Feast”, and the second was “Music from Movies and Broadway” with the Cayman National Choir and Orchestra. 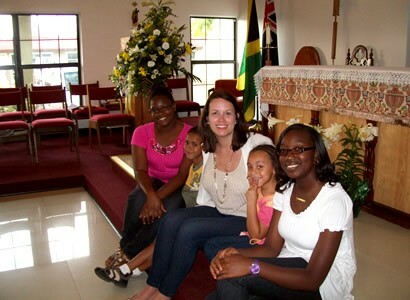 In addition, I was asked to run singing workshops for young people and a charitable organisation on the island. The island is a small and friendly place with an ex-pat community from the UK. I met some lovely new friends there last time and was excited to see them and to work with some of the excellent musicians on the island. This is not a typical day but gives an idea of what’s involved in the course of an international trip. 6.45 am and I’m all packed and ready to go at Heathrow Terminal 5 with gowns, sheet music for two concerts, workshop materials, clothes for three weeks, back up files of everything on memory sticks, music to learn for a performance when I return....and a couple of bikinis! 18 hours later, looking and feeling a bit wiped out, I arrive in Grand Cayman. I am met at the airport by the ever so friendly client and two journalists from Cayman INews. Not exactly looking my best for some photos but believe it or not, performances by Classical Sopranos are rare on the island and the media wanted some pictures and to book an interview as soon as I arrived. I go out for dinner where I struggle to keep awake, and finally to my lovely accommodation where my head hits the pillow. A few hours later I am defying the jetlag and am up and ready to take part in an interview with local radio to promote the two concerts. 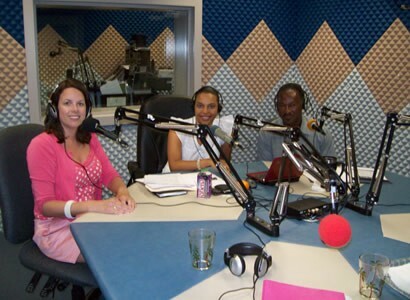 Later that week there is a TV interview at Cayman 27 Breakfast Show followed by more radio interviews with the national station Radio Cayman who are also broadcasting the final concert. 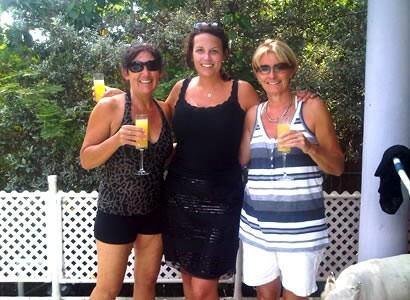 I meet with the musicians accompanying me and we get together for a rehearsal and sound check at The Wharf Restaurant And Bar – a beautiful venue overlooking the Seven Mile Beach coastline, and place of the Royal Wedding Day Celebration Concert. Although it is the first time we meet we have been in contact for months since making the booking, corresponding to ensure they have a full brief on all the music for the event, to make things as smooth as possible when we rehearse. The purpose of the concert is to celebrate the Royal Wedding and to raise funds for a charity called Positive Intervention Now, which aims to provide positive activities for young people to benefit the community. During my stay I have agreed to volunteer at the young people’s sessions to experience first hand what it is all about. At the concert the music was divided into sets around dinner, speeches and an auction. The first set included traditional wedding music - Panis Angelicus, Ave Maria, Let The Bright Seraphim, and love songs – He Wishes For The Cloths Of Heaven, and Love Is A Many Splendored Thing. The client and I worked together to bring together a programme which would include familiar and new music, and a good range of styles offering something for everyone – classical crossover, traditional, musical theatre and romantic song. To help raise more money for the charity, the audience were invited to sponsor a dedication for each song, with me reading out the romantic messages from the stage. 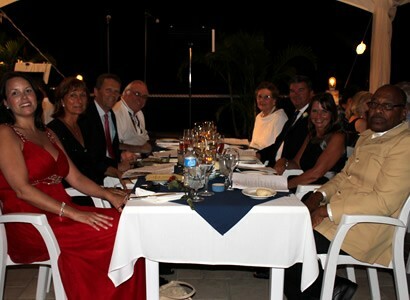 In between sets I joined the VIP guests for dinner which included the Governor of Grand Cayman, the Police Commissioner, and Archdeacon of the Americas. 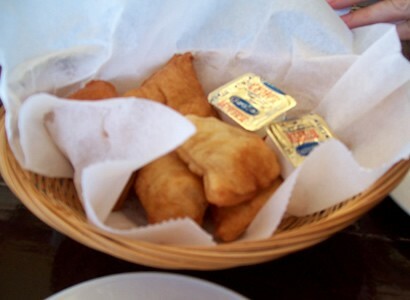 Well, I wasn’t actually eating mine as I had some music left to sing, but the food looked good! The audience were brilliant and it was a really enjoyable event, with a great atmosphere. Here I am in the dressing room with musicians ready to perform the final set, which included some traditional British hymns for all to join in - I Vow To Thee My Country And Jerusalem, Along With L’amore Sei Tu, What A Wonderful World, Til There Was You, and Time To Say Goodbye. 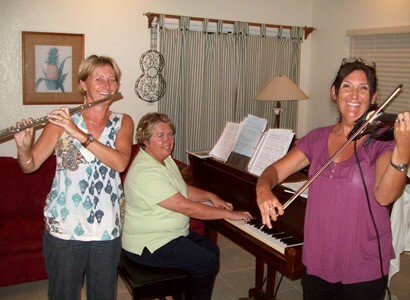 After the exhilaration of a romantic, beachside performance it was time for some community work. Here I am with some local children who took part in the singing and drama workshops. Musical theatre and classical music are less well known out there so I included repertoire from Carmen, Puccini, Oliver, Carousel, Chitty Chitty Bang Bang, Roald Dahl’s The Twits, and Joseph, and tried to make them fun and educational. Whilst out there I also volunteered to work with some adult singers from the Cayman National Choir, which was very rewarding and good fun. Of course it wasn’t all work – I managed to get some rest and relaxation. 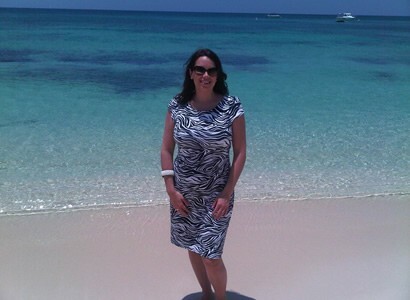 Me on Seven Mile Beach, Grand Cayman. 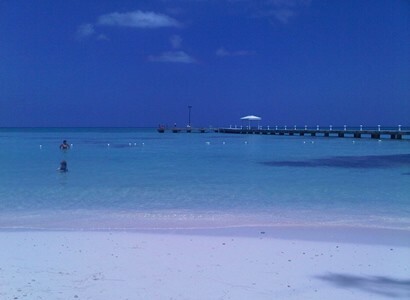 ...oh and maybe just a bit more...Rum Point. 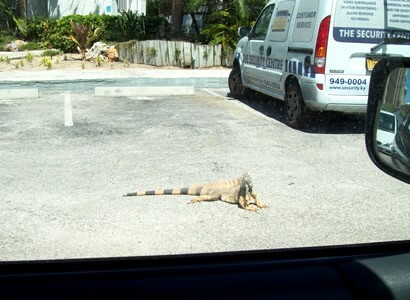 When I wasn’t looking out for these...yikes! That’s enough of that...back to work! Seriously, as lovely as all of this was, it is the privilege of choosing and singing beautiful music that I love most about my job, so rain or shine I am happy to be singing wherever in the world I am. 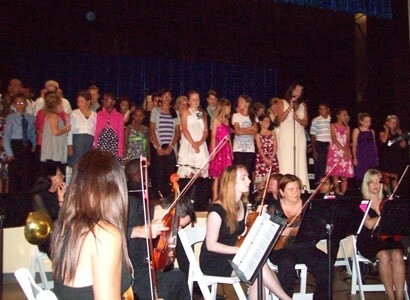 For the second concert I met up with some friends I met last year to rehearse. 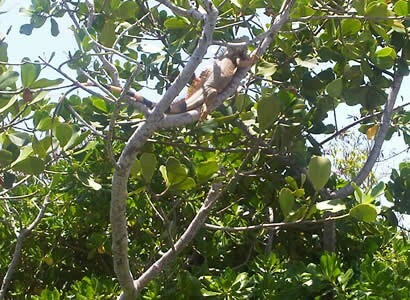 The concert took place at Camana Bay a new arts and recreational centre just off Seven Mile Beach. Again, we had been in regular contact to ensure maximum preparation before I flew out there. I also joined the choir and orchestra for their rehearsals, as we were singing a number of songs together including Music Of The Night, a favourite with many. 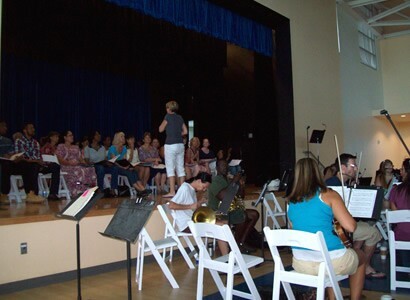 Rehearsals at Camana Bay on the day of the concert. Before leaving the UK I learned and memorised music and lyrics for 16 songs, including the Cayman National Song, so it was nice to see the preparation come together in performance. 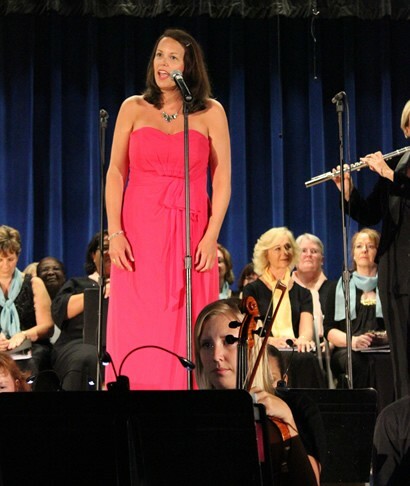 At the concert with Cayman National Choir and Orchestra, singing Nella Fantasia, O Mio Babbino Caro, The Godfather Theme, Moon River, and Hurry! It’s Lovely Up Here – all music from films and accompanied by images and quotes from the films. The organisers embraced the community by inviting every school on the island to send 6-8 children to take part in a singing workshop with me, and to perform in the concert. Young performers from the singing workshop join me on stage at the concert to sing Truly Scrumptious, Do Re Mi, and Any Dream Will Do. All together for the finale: You’ll Never Walk Alone. All in all, it was a fantastic trip. The people I worked with and sang to were so friendly and receptive it was a real pleasure, and I was fortunate to be able to sing the most beautiful music with some really great musicians and a fabulous conductor. 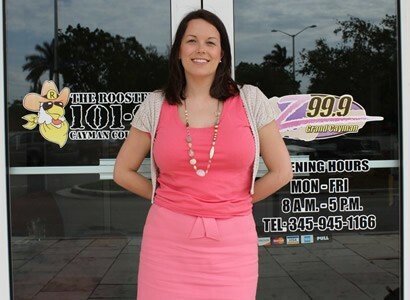 The community work allowed me to see a wider side of life in Grand Cayman, and working with young people and adults enthusiastic to learn more about classical music was a brilliant opportunity I won’t forget. A celebratory drink with the conductor of the choir and orchestra, and fellow musician, before flying home. The lyrics to the Cayman National Song include “Fair Cayman isle, I cannot thee forget”, and I really hope that I have the chance to return to that “beauteous isle” again!